As the college season comes to a close once again you find a Fauquier native standing alone on the top of the Podium. Last Saturday, February 23 at the Arthur Ashe Center in Richmond, Virginia at the National Collegiate Open tournament, Chris Moon won the 165 pound weight class. Moon, who is a redshirt Junior at Virginia Tech, currently is sitting out from wrestling on the Varsity squad this season yet was eligible to enter this event since he was declared a redshirt. This tournament brought in 40 plus college teams from all across the States. Moon was paired into a 32 man bracket where he wrestled five matches to win this National Open event. Below are the five box scores of Chris Moon's matches. Being a redshirt and wrestling in this National Collegiate Open when was the last time you won a 32 man bracket and give me some reflection of this tournament? Moon: “I do not remember the last time I won a tournament this large, but I was happy with my performance. I beat a tough kid from Illinois in the semis in the last few seconds, which was exciting. It was a good way to end the season”. 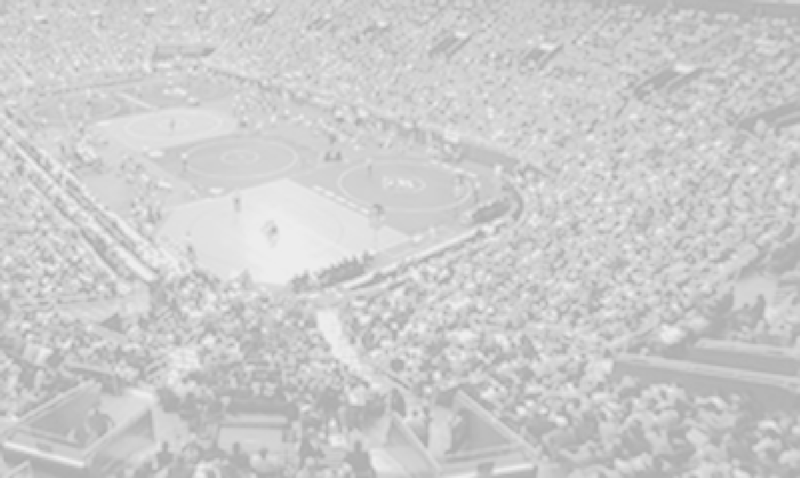 Any reflections on your experience in wrestling at the D1 NCAA last year? Moon: “Wrestling at NCAA's last year was an awesome experience and a real eye opener. It showed me that I am capable of wrestling with anyone. It also got me really motivated, with goals of being an All-American”. Any personal goals through the spring, summer and or into next season? Moon: “The plan is for me to wrestle 165lbs next year, so I have to not get to big”. Any idea what weight class you plan to wrestle next year? Moon: “My personal goals for this offseason are to get better at wrestling. I will probably wrestle some freestyle so I just want to keep getting better”. Moon: “The Fauquier wrestling program is where I began wrestling so I am very thankful for the time and effort they put into the program and owe them a huge thanks for helping me get where I am today”. Moon wrestled three of his four years as a Fauquier Falcon from 06 to 09 where he was a 2x district champ, a regional champ in 09, and a second place finisher in the AAA state that same year; finishing 7th place in states in 2008. Moon is currently 11th on the most wins list for the Fauquier wrestling team with 126 wins. Last year as a sophomore Moon was runner-up in the ACC wrestling tournament for Virginia Tech at the 174 weight class and earned a bid to the D1 NCAA tournament becoming the first Fauquier wrestler to obtain this achievement.